Not only does coffee keep you awake on Monday mornings, but it also is simply one of the world’s simple pleasures that some people just can’t live without. Sydney is home to some of Australia’s best coffee, and here I have some of the most recommended spots for your fix! There’s no cake or pastry sold to accompany your coffee – but it’s because you don’t need them. The people at Coffee Alchemy sourced their beans from the farmers directly and roasted them in-house – needless to say, they are all about the coffee. You can also buy the beans here – I recommend the Sibila’s Brew variant. As the name suggests, the café is proud to use fair trade beans. In the café’s brew bar, you can choose how you want the coffee to be prepared – poured over, aero pressed or through a cold filter. SOR also serves a range of breakfast dishes as well as cakes and pastries. Ruby’s use of quality Single Origin beans distinguishes their coffee from the rest. On top of this, the place also serves great food, ranging from healthy brunch menus (House-made Superfood Banana Loaf, Quinoa and Raw Beetroot Salad) to indulgent desserts (Brownie and Wellness by Tess Nutessa). As a popular spot for locals, Grind is not to be missed if you are visiting. 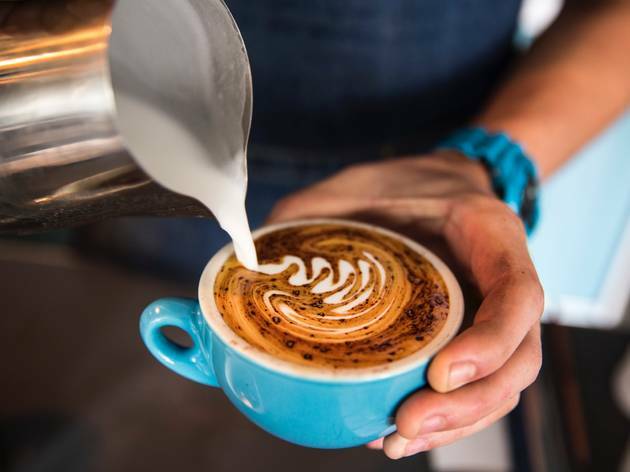 Enjoy a wide variety of coffee drinks in the café, or take them away to the Cronulla Beach nearby. The place is as famous for its cronut range as it is for the coffee. The beans are roasted on the site most days, and available for customers to buy. Match your coffee with their brunch menus – if you don’t mind something fatty, try out the Elvis burger that has cronut buns, bacon, and thick-cut chips. These are my version of the top five coffee places in Sydney. What’s your favorite?